Ladies, Gents, BEWARE!!!!! I'm after fisty-cuffs! Ever since my love for PS2's The Bouncer i've been long for a modern Street of Rage experience! The Bouncer exceeded on so many levels, in having a fun combat system, tight short narrative with multiple perspectives and really brought back the fun I felt playing Streets of Rage on the Mega-Drive. I've been looking for similar type games ever since and never found them. I've tried the developers other PS2 title Crimson Tears but it didn't feel the same - Probably due to lacking the Squaresoft Bazaaz! I must stress the particularity of perspective here, I'm not simple after Hack n' Slash games where the camera is fixed behind a characters (Resident Evil 4 / Gears of War style), I'm really after games which have a non-player controlled camera that is fixed and pans with the action. It doesn't necessarily have to be side-scrolling either - The Bouncer barely had any areas to navigate, but you'd fight within well masked arenas. Also, any Co-op games would be a bonus, one of the things The Bouncer sadly lacked. Double Dragon Neon (PS3/PSN) - Didn't think much of this to be honest, felt sluggish. There the ones I can think off the top of my head, but I am sure there are more and I wanted to see if they're any that you had in mind? As I'm really trying to find more games like The Bouncer - Which may never happen. I was always a fan of Fighting Force for PS1, but I never played the sequel. I think I read somewhere it was going to be a Streets of Rage sequel at some time in development. Thats right! I forgot about that til now. One that is just what I had in mind is 'Mortal Kombat: Shaolin Monks' & This one is Co-op! 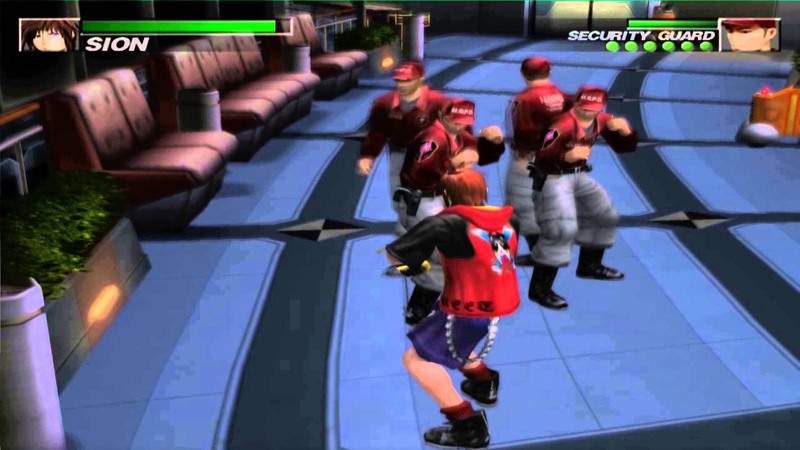 The Warriors looks pretty cool for the PS2. The camera view is not exactly what you are looking for though. I always wanted to play Fighting Force, it looks mediocre but fun. Fighting Force blew my mind when it came out. It pry hasnt aged well, but its a cheap game so its worth a play. I've never felt that the beat'em up genre transitions from 2D to 3D very well, and as a result, I never found any PS1 titles that were very good. Still though for beat em ups like streets of rage ps1 ps2 and even ps3 are just not the right consoles you would need some of the 16 32 bit consoles for that, than again online downloads might be your saviour for that or the indi scene on ps4 they have some beat em ups inspired by streets of rage. The Saturn has some.. Guardian Heroes, Die Hard Arcade..
On the PS1 you dind't mention Legend and Mortal Kombat: Special Forces, although the second is a bit different style. And you can try Tekken 3/4's Tekken Force Mode. I do love Tekken Force Mode and taht is the kind of expeirence I am after!